We specialize in custom security systems and personal services for New York, NY, Suffolk County, NY, Nassau County, NY, Long Island, NY, New Jersey, Connecticut and Florida. At Intelli-Tec Security, we offer unsurpassed expertise and a commitment and focus that you can always depend on. We offer world-class, state of the art products and serve the safety of lives as well as property throughout the communities we serve as well as for select nationwide clients. We place an extreme emphasis on detail and exceptional service by designing, installing, and maintaining advanced, state of the art security options for home and business security systems. We are a premier security company serving as a main source of security solutions for a wide array of high end residential clients as well as large and enterprise corporate entities. Our clientele includes large health-care institutions, regional police departments, educational facilities, and many more organizations. Our monitoring partner is Rapid Response Monitoring, a state-of-the-art advanced monitoring services provider. 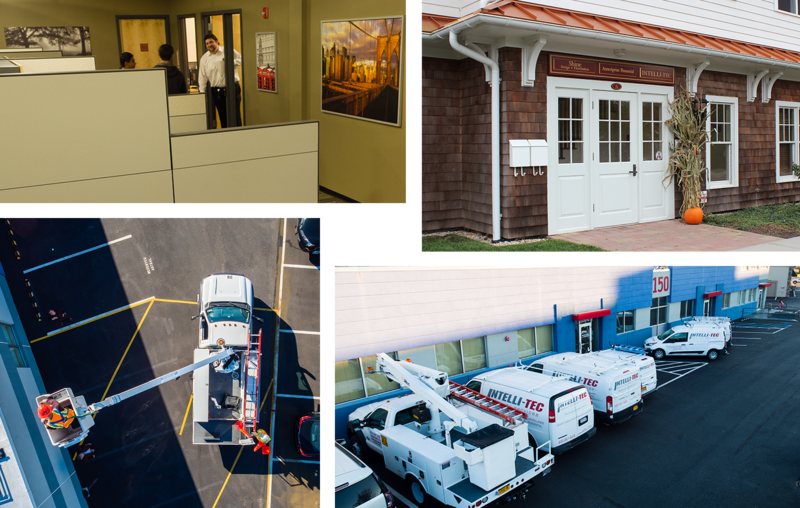 Headquartered in Syracuse, NY with an additional facility in Corona, CA, Rapid Response ensures that our customers benefit from the most highly qualified and trained Critical Event Specialists in the industry. All Rapid Response personnel are required to have a minimum of two years of college education or equivalent military experience. All must undergo full pre-employment screenings including multiple psychological tests, drug testing and background checks. Monitoring personnel are all Security Industry Association (SIA) certified following an intensive six-week training program – the most rigorous in the security industry. For morning information about our monitoring services please visit our Monitoring page. Our priority is to offer personalized services while delivering customized design for each and every customer. Whether we are designing a residential or commercial system, we understand that security is a personal matter. When designing and evaluating the best security system for your property, our technicians work directly with you to determine and best meet your individual needs. At Intelli-Tec Security, we place our advanced technologies in the hands of the area’s most extensively trained and qualified technicians and we are proud to have each one on our team. We invest heavily in furthering the education and training of our team members in order to stay abreast of technological advancements and innovations. Our team consists of technicians, engineers and project managers who use their expertise to support everything from residential installations to the most involved, integrated commercial systems. we have established in the community. world-class security, with a personal touch.